The 2017-18 international signing period ended 11 days ago, and the Dodgers brought in 63 new prospects. None of them were of the caliber of Yadier Alvarez or Yusniel Diaz, but there could be some $300,000 gems in the group. *- Bonus amount doesn’t count because he doesn’t fall under the international signing rules. **- Only $5,000 of the bonus counts toward the pool, per MLB’s declaration. I was able to track down 50 of the 63 international players the Dodgers signed over the past year. Many of the “unknown” bonus amounts are inconsequential and don’t count toward the bonus pool. 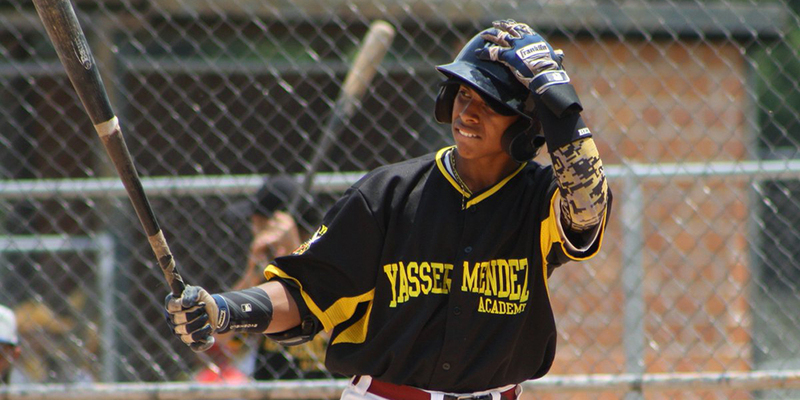 The highest-ranked prospect on my Top 100 of the guys listed above is Vargas, who checked in at No. 51. I also had Heredia at No. 92, Zuniga at 96 and Leonard just slightly on the outside looking in. Here’s a refresher on the international signing rules. The international signing period, known as the July 2 period, is the time when teams can sign international prospects not subject to the MLB Draft. There used to be looser signing rules, but the new Collective Bargaining Agreement has put an end to a team going over its bonus pool, as the Dodgers did two years ago. Since the Dodgers were a luxury tax team, they were allotted $4.75 million to sign players from July 2, 2017 through June 15. Of the reported bonuses I could find, the Dodgers spent just north of $4 million in that time. Any prospect signed for $10,000 or less does not count toward the bonus pool. The age cutoff for players used to be 23 years old, but it has now been raised to 25 years old, which was on display with the Shohei Ohtani sweepstakes over the winter. The full rules area available here. The Dodgers will not be limited by the $300,000 maximum per prospect rule for the upcoming signing period. They’re the favorites to sign Venezuelan catcher Diego Cartaya. He’s 16 years old and ranked as the top international prospect available, according to MLB Pipeline. They’re also the favorites to sign the No. 30 prospect in Jerming Rosario. We’ll have a full recap of any significant signings.